When you are searching for your perfect Indianapolis, IN home you will need to make yourself as financially attractive as possible to your potential mortgage lender. There are three key steps to being an attractive mortgage candidate. And don’t worry, if you need some help with one or all of these steps – with a little work, you can fix those first-time Indianapolis, IN homebuyer blemishes. Evidence of a dependable income can help you get a better mortgage rate and make you more attractive to lenders. Banks understand a certain degree of turnover, but, the longer you are with one company, the better it looks to a lender. Stay in your present position for a while, at least until you have secured the loan. Make sure you know your debt-to-income ratio and don’t try to buy an Indianapolis, IN home outside of your means. The better your credit score the better looking you will be to the lender. If you have made credit mistakes you can work to clean up your score by removing any non-factual items from your credit report, pay off any bills or credit cards to lower your debt-to-income ratio, and don’t take on any new debts at this time. 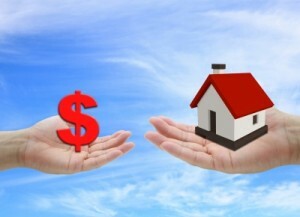 Ideally you would want to have at least 20% of a down payment in your savings. Do you need help saving for your Indianapolis, IN home down payment? There are several things you can do such as downsizing where you are now while you save, strict budgets, and low risk savings plans. When you are ready to purchase your home, contact an experienced Indianapolis, IN real estate agent. We are committed to providing you with the highest quality buyer service. When making the type of investment that buying a home requires, you deserve to have all the latest market information and the very best advice, both of which we can provide you with. We hope to speak with you soon!